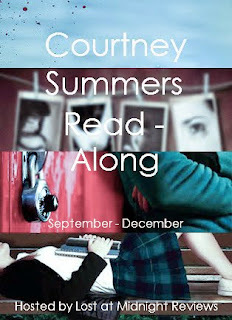 Welcome to the second discussion post on Cracked Up To Be for the Courtney Summers Read-Along! 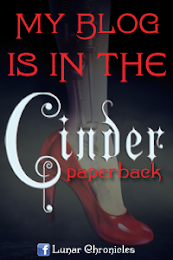 Today, Crimson will be discussing chapters 8 - 12! Read what she has to say and comment with your thoughts below! Warning, there may be **MINOR SPOILERS**! Every time I read CRACKED UP TO BE, I’m struck by how much my feelings change from the beginning of the book until now. I mean, it’s not so much that the beginning of the book presents itself as a “light” novel, but we also don’t yet have a full appreciation of the situation that Parker is in. Even knowing what to expect this time around (I’ve read this book a few times), I still find myself caught off guard as I watch this change in Parker. I’m sorry for this terrible analogy, but I just finished watching X-Men, and all I can think of is that Parker is like Magneto, and her wit/humor/general meanness is like that helmet Magneto wears to block Professor X from reading his mind. I’m not really sure who Professor X would be in this situation then. Everyone else? The reader? Jake? Maybe all of the above. My point is that that helmet is slowly coming off in these chapters, although we’re not quite there yet, and we can begin to understand Parker more as a person. For me, Parker’s defenses are so well built up, that every time I read this book, I fall for them again. So what draws us to Parker in the first place? Is it that sense of mystery and wanting-to-figure-her-out? An interesting conversation occurs between Parker and Jake in the scene where Parker invites Jake to the mall with her. She gets him to admit that he likes her, but when she asks him why, he admits that he doesn’t know. In these chapters, we get more and more of those flashbacks, and the pieces are beginning to fall into place as we puzzle out Parker’s past. What about we as readers? Are you drawn to Parker for the same inexplicable reasons as Jake? How does learning about her past begin to change the way we view her? Parker has all these defense mechanisms put in place, but Jake is like an entirely different species who refuses to put up with them. Every time Parker tries to run away from something, be it Chris or Becky or school or her parents, Jake is always right there, disallowing her that escape and total downfall. Even so, Parker continues to push back, even telling him that the more he knows about her, the less interesting he becomes to her. What do you make of that? In some roundabout way Parker admits that he likes him too. So what do you make of that change? Why would that freak her out now? Do you really believe her? What did you guys think of these chapters? How are you liking Cracked Up to Be so far?